A shorter, more focused adventure/survival tale. Remove many of the dream sequences, flashbacks. and other artsy stuff to make a briskly paced adventure. - Subplot of the chiefs daughter is greatly shortened. - Dream sequences are compacted to only one scene. - Much of the story that doesn't center on Glass has been truncated. - Horse shelter sequence removed. - Many small cuts for time and/or pacing. For ages I've been looking forward to watching Return of the Jedi: The Spence Edit, and this did not disappoint! Inexplicably, though, the entire story takes place on Hoth, and the cinematography seems oddly more fluid than I recall. Also, this edit was billed as Ewokless, but far as I can tell, everybody looks like a grizzled Ewok, just larger. My only nitpicks would be an "it's" misuse in the burnt-in subtitles and that in a few spots, the audio crackled. But honestly, I tremendously enjoyed this refreshing take on an old favorite. The Jedi truly returns in badassed muthafucka form. This is a fantastic edit. Spence does more than just reduce the run-time here. My biggest gripe with the film was the mystical on-the-nose stuff. I was excited to see that most of it had been removed and repurposed to the one place where it fits (the spiritual dream as he healed). It works so much better. But beyond that, taking away those sidebars allows the viewer to remain with Glass which makes the film a much better experience. I enjoyed the theatrical version quite a lot but felt a bit disjointed when I was busy rolling my eyes every twenty minutes at a flashback. Also gone is the chief searching for his daughter. It is hard to say definitively but I believe if I had never seen the film the edit would have no trouble selling the idea of who she is. Really, the visuals say it all. So again, the focus makes this experience better. Then there's the ending. It was very well done. I re-watched the theatrical ending after to figure out why it felt better, more visceral and tighter. The edit flowed coherently and I didn't notice what was changed. Great job with the ending. A lot of oners were broken up. I wish more could have but upon a revisit to the theatrical again as much was done as probably could be, and a lot was broken up. I didn't notice everything because it just feels better and doesn't draw attention to the camera, which plays well here. The video quality was very good for the filesize but since it was quite small it wasn't as sharp as my blu-ray. Spence previously said he had a higher quality version available so I'd love to check it out and update this. Cheers, Spence. Great job with this one. I enjoyed The Revenant when I saw it in theaters, but it was a bit too long I felt. The Ree chief looking for his daughter seemed like it was just tacked on to increase the running time and it seemed like Glass (though I'm sure his historical counterpart would disagree) just went through trial after trial after trial to up the running time. Spence's edit solved every single one of my complaints. The story still moves at a deliberate pace, but overall it just feels faster. Which it would be, with 36 minutes neatly trimmed off. Truth be told, I don't think I could point out everything that was cut, that's how well it was done. I did notice the beginning was trimmed down and obviously the horse scene (which I know was a bit controversial to cut, but the point of the movie got across just fine without it) and the aforementioned scenes with the French fur trappers and the chief's daughter, but those were all fat. The new dream sequence worked well, but I do think it might have been better placed earlier in the narrative, perhaps before Glass climbs out of his "grave," as it were. Audio was great, no complaints. I've only got a stereo setup, so the 2.0 was fine with me. Video was great too, though I did notice a few instances of stuttering during the scene where Glass begins to swim down river to hide from the pursuing Ree. The video quality was great. In his discussion thread, Spence talked about maybe producing a higher video quality version of it if people were interested. Consider me interested! As I said previously, I enjoyed the theatrical cut of The Revenant, but I enjoyed this so much more. If you liked The Revenant, I can't recommend this enough. It's funny you mention doing the dream sequence earlier, I originally was going to have some of it at the point you mentioned and some of it when he's healing, but I found it flowed better just getting to the point and getting Glass out of the grave. It definitely could work that way, but I was more interested in speeding things up at that moment. I was a little ambivalent about this film when it was released last year. I loved the cinematography - there’s something quite extraordinary in the visual scale of the film - the Alexa 65 digital that Lubezki uses gives ridiculous clarity. I remember actually feeling cold when I saw this in the cinema, it was so visceral. I read that the film was shot using only natural light - which is just incredible and illustrates what the new technology can achieve. But as much as I’m in awe of the technical achievements, I can’t find much substance in the film. Is it just a revenge piece? I’m still not sure. The cool thing about Spence’s edit is it attempts to give the film some narrative spine and momentum. It’s shorter, more focused on Glass, and less self conscious than the original. I think it works very well in this respect. But ultimately I’m not sure that Glass’s revenge is enough to build an adventure on. One interesting side effect of the tighter focus on his character was for me a kind of time shrinkage, such that his capacity to survive anything and everything was even harder to take. But it’s a seamless cut. The quality of both the audio and visual editing is excellent. I really like the fresh narrative pace and sense of purpose - which is no small feat when you consider that Inarittu is probably trying to do the opposite. And it’s certainly less pretentious. And cutting up some of the director’s long takes? That’s very cool indeed. 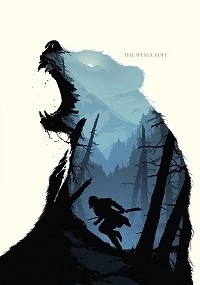 The Revenant was one of my favourite films from last year. I was skeptical of this edit at first. I could see how it would play without the chief's daughter subplot, I didn't think the other changes would work. I really didn't like the idea of losing the horse scene. But after seeing it in action, this edit works wonderfully. Ever cut improves the pace and overall tone of the film. Technically, the picture is beautiful and the editing itself is seamless. I was disappointed with the stereo audio, as scenes like the opener and the cliff jump really come alive with 5.1 surround. I would have liked to see a different title and custom title credits as well. Were it not for the stereo audio, I'd place this above the original and it would easily be my go-to version in the future. Highly recommended for anyone who enjoyed the original.